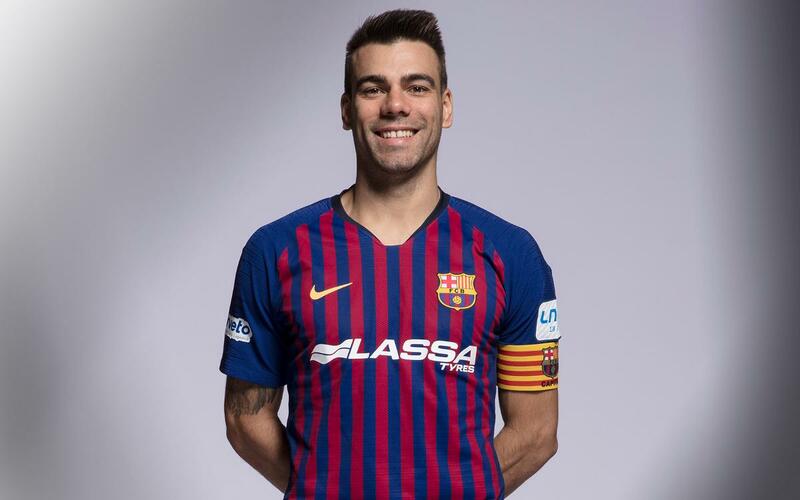 Sergio Lozano joined FC Barcelona in the summer of 2010 from Reale Cartagena on a four year deal that was extended at the end of the 2011/12 season, a year in which the man from Madrid was named player of the season in the LNFS (National Futsal League). Born in Alcalá de Henares on 9 November 1988, he began his career at ERS Arganda and he has always been on the radar of the big teams, beginning to make a name at Las Rozas Boadilla, where he played for four years. He joined the top flight in the summer of 2008 when Reale Cartegena signed him. There he became the leader of the team and a firm favourite with the fans. He scored 15 goals in 24 goals in his first season and improved the following year to score 26 in 29 games. In the summer of 2010, the club from Murcia were obliged to sell Lozano to help assuage financial problems and after a long process of negotiation, Barça and Cartagena were able to reach an agreement. However, the blaugranes decided to loan him out to Caja Segovia during the first year of his contract and Lozano ended the season as runner up in the league campaign. In the summer of 2011 his debut as a Barça player finally came in the Spanish Super Cup and a year later he was named league player of the year in the LNFS. His excellent performances meant he became a mainstay of the Spanish national squad. In 2008 he was part of the U21 team that claimed the European title. In 2012 Lozano claimed the European title with the full Spanish national team. The arrival of the Lozano opened up tactical options available to Barça Alusport. He is a strong and versatile winger, defensive and pacey with great goal scoring ability and widely recognised as one of the best players in the world.